This article was featured in the September 15, 2018 issue of McElroy Connections. 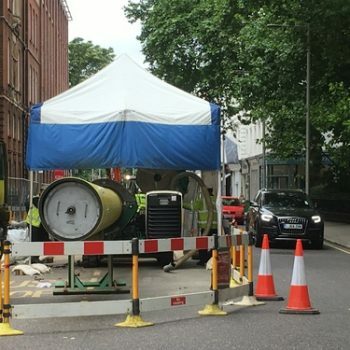 To reduce the risk of this happening anywhere else, as it surely would and did, British Gas was urged to begin replacing its most at-risk gas mains. 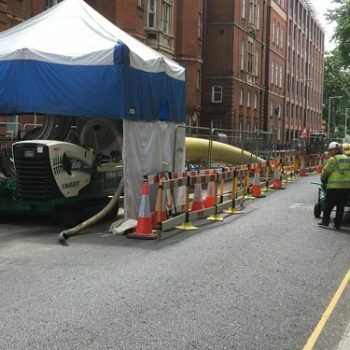 Over the years, it became the UK’s policy to use polyethylene pipe, which is joined through leak-free heat fusion technology, in all of its new gas distribution lines and prohibit the use of ductile iron in close proximity to households. One of the characteristics of polyethylene pipe is that it is resistant to vibration, ground stresses, pressure surges and sudden temperature changes. Today, about 90 percent of gas is delivered via polyethylene pipe bringing a much safer, more durable and reliable delivery system. 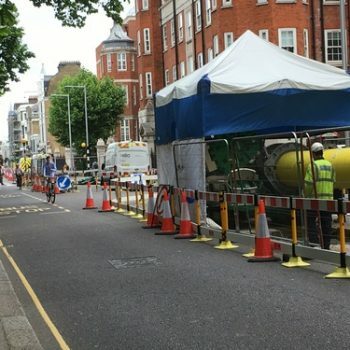 Among the last places to go plastic is London where £1 billion is being invested the London Gas Mains Replacement project set for completion in 2021. 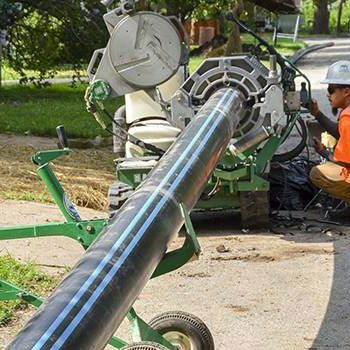 The existing pipe network beneath its busy streets has been in place for more than a century; many of the lines leak, and during especially cold winters they actually come close to running out of gas. 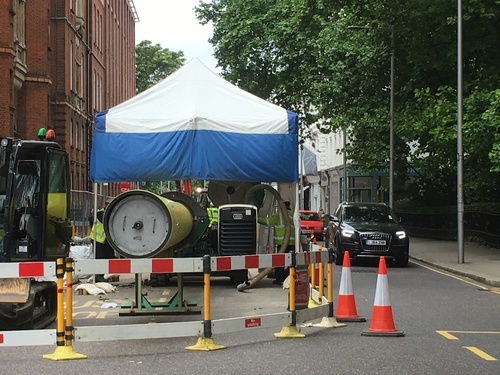 A modern piping system for London’s residents will alleviate the many concerns and problems with the antiquated gas mains. 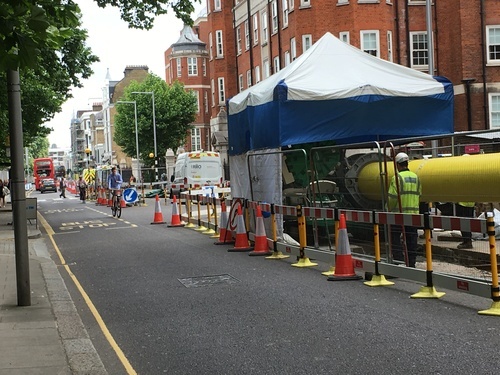 One of the biggest challenges for the installation has been working in heavily congested areas like Kings Road in Fulham while trying to keep public disruptions in a city of 8.7 million to a minimum. Businesses need to stay open, residents need open access and road closures, detours and changes to public transportation schedules have to be addressed to maintain order. 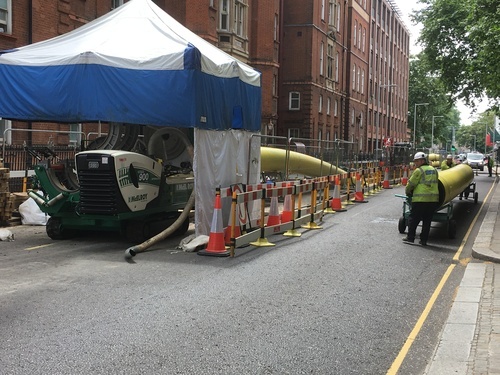 Extensive technical support would also be required because the 800mm polyethylene pipe replacement is the largest gas main ever installed in the UK. PSS Hire, a distributor of McElroy fusion equipment, was approached by tRIIO, a gas engineering company that works in partnership with Cadent Gas (formerly National Grid), to identify innovative work approaches for the project as well as new products, which have included the TracStar® 500 and 900 Automatic fusion machines. 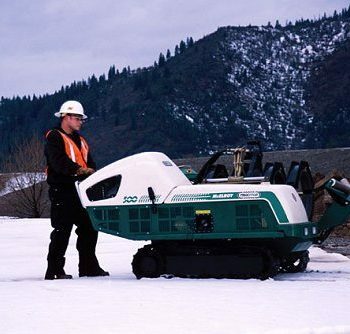 The TracStar machines are self-propelled, self-contained vehicles that bring mobility and efficiency to the jobsite. Fusion functions on the Automatic machines are controlled with The Coach® pendant and joint reports are being downloaded to the DataLogger Vault™ where they can be stored, viewed and verified for pipeline validation. To hold pipe for the day’s work and help guide each stick into the machine, a MegaMc® PolyHorse® pipe-handling system and Pipe Stands are being used. PSS Hire was in a unique position as a supplier of large-diameter pipe fusion equipment and in partnership with McElroy has provided fusion training and onsite technical assistance and advice on best practices for fusing the larger 800mm polyethylene pipe. A four-day training session was held at the National Grid Training Centre in Hertfordshire. The path of the pipeline takes a historic tour through London. Buckingham Palace, the Houses of Parliament, West End, Westminster Abbey, the River Thames and the Tower of London are among the many landmarks that will be along the way. Currently, while pipe is being fused, the roads are closed in one direction to accommodate the fusion machine; the entire road is closed temporarily each time a fresh stick of pipe is loaded. Because of road closure procedures, they are staggering work so that fusions are done one week out of every three. The new polyethylene is inserted in the old mains for most of the work which reduces the amount of long trenches and street rehabilitation. The project has provided an opportunity for PSS Hire to introduce new products such as the BDI (Bead Diagnostic Instrument), a nondestructive tool used to verify fusion quality. Other new products included 800mm hydraulic clamps, 800mm electrofusion scrapers, vacuum saddle kids, excavator mounted pipe handlers and lifting straps for 800mm electrofusion couplers. The project was also an opportunity for McElroy to develop fusion machine features in response to new standards in the UK that do not permit any operator interaction with the machine’s heater. The company designed a retractable heater that is built into the carriage and is removed automatically. It performed well in a field trial this year and has now gained regulatory approval. Keith Mole, Sales and Marketing Manager for McElroy UK, has been involved with countless projects for McElroy over the years, but the London project may be the largest and one of the most important. He said it’s been exciting to see 800mm gas distribution pipe since pipe this large is typically seen on water projects. It’s definitely a project that is working McElroy machines hard with 1,800 miles of polyethylene pipe to fuse. PSS Hire reports that the first phase of the project was completed ahead of schedule, on budget and with minimal public disruption. They continue to work closely on the project as a supply partner and provide ongoing technical support. McElroy plans to continue a robust rental replacement program to make sure the project has access to the most up-to-date equipment that is well-maintained and ready for service.